4. Brush both sides of sweet potatoes with this mixture and place them on a parchment lined oven tray. 5. Bake them in the oven 20 to 30 minutes. Don’t forget to turn them over halfway. 6. Mash half an avocado and mix with 3 tbsp tahini and minced garlic clove. Add juice of 1/2 lemon and 1/2 lime to the mixture. Finally add a pinch of cumin, 1/8 tsp sea salt and 1/8 tsp black pepper. If you fancy, you can add more. 7. Take sweet potatoes out of oven, put the spread on top. Sprinkle with fresh coriander and seeds as desired and enjoy! Breakfast, lunch or dinner? You can have this vegan recipe anytime! 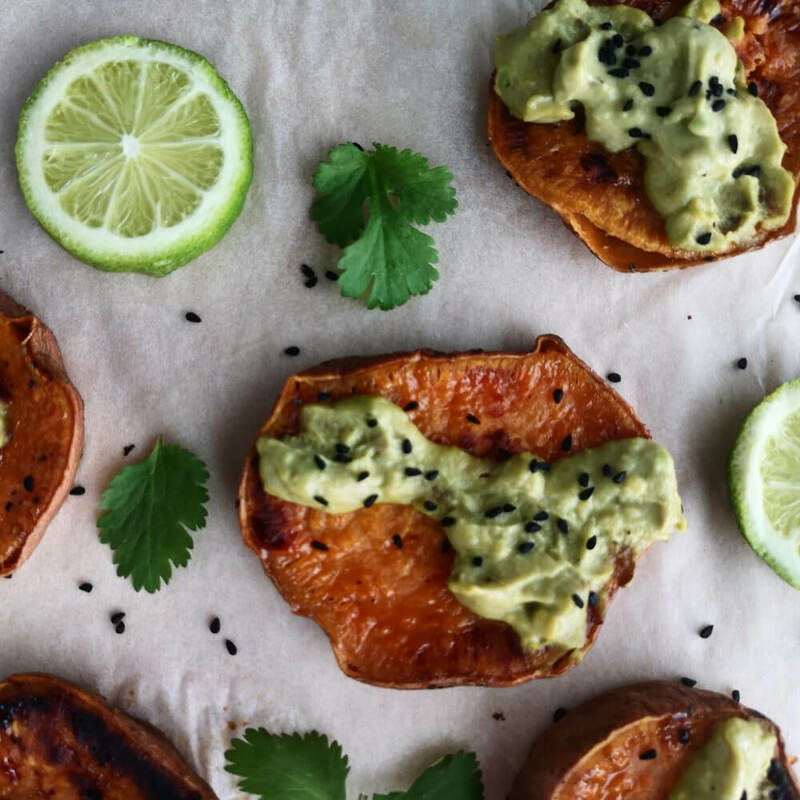 Tahini, avocado and sweet potato compliments each other so nicely; a true taste explosion in your mouth.